Mike Foltynewicz – A fantastic season that turned in a 13-10 and a 2.85 era, striking out 202 batters for the first time of his career. Barring any trade for a frontline pitcher, Folty will be number 1. Trade/Free Agency – The Braves need a stable veteran. I don’t see them repaying for Anibal Sanchez and don’t see his value repeating itself. This pitcher will either be a top flight ace to pitch 1, or a slide into the 2 hole to deepen the rotation. Sean Newcomb – Newcomb proved his worth and signified what the Braves thought in him, handing him the pivotal game three start. Newcomb was 12-9 with a 3.90 ERA. Kevin Gausman – Gausman went 5-3 with a 2.87 era when he arrived at the Braves. Mike Soroka/Touki Toussaint/Max Fried/Luiz Gohara/Kyle Wright – Any of these could fill in a spot right now. They could fill a great rotation of rookies. The Braves may not go the trade/free agency route for the #2 and give two of these a chance to pitch, but my money is on the braves do grab another veteran to help fill innings until mid-season, then trade him. Look for this pitcher in the 5 spot to be the lucky one not traded this off-season to fill up an offensive need. Closing the book – Julio Teheran will not be back and that couldn’t be more obvious during the playoffs. After starting another consecutive opening day, Teheran wasn’t handed a ball until the game 5 was out of hand. He knew it too. As stated before, I don’t think Sanchez will return. He will get a much lucrative offer from someone else. Only way he’s back on the Braves if he were to take a significant discount. Brandon McCarthy will retire. Relievers – The Braves will be very active in the free agency and trade front for relievers. 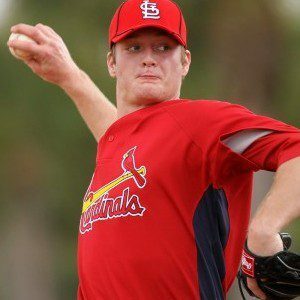 Craig Kimbrel will be the top target, which would push Arodys Vizcaino to 8th inning and AJ Minter to 7th inning. A dominant closer will be the primary target for this core. Ronald Acuna Jr – LF – As of now, the reigning Rookie of the Year will bat leadoff. Tyler Flowers – C – Or whoever they get to platoon or start over Flowers. Ender Inciarte – CF – I could see Ender being traded if the Braves are extremely active this off-season, paving the way for Pache. Cristian Pache – only 29 at bats at AA and will need more seasoning. Will most likely take the Ronald Acuna treatment as well. I do see the Braves being very active in the outfield market, Bryce Harper will be mentioned, AJ Pollock, etc. I don’t see Manny Machado moving off the Dodgers. They may be players in JT Realmuto but don’t see the Marlins trading him to the rival Braves unless one or two of those #5 starters are included. Starting pitching will be wild and crazy as well. Patrick Corbin, Dallas Keuchel, James Shields are just the cream of the crop this year. Braves use remaining money for bench.